A pack of 12 charming engagement rings! Use these in your party bags as gifts or sprinkle them onto the table for a high impact effect. These beautiful rings have a large jewel and are made from a metal with a silver effect. 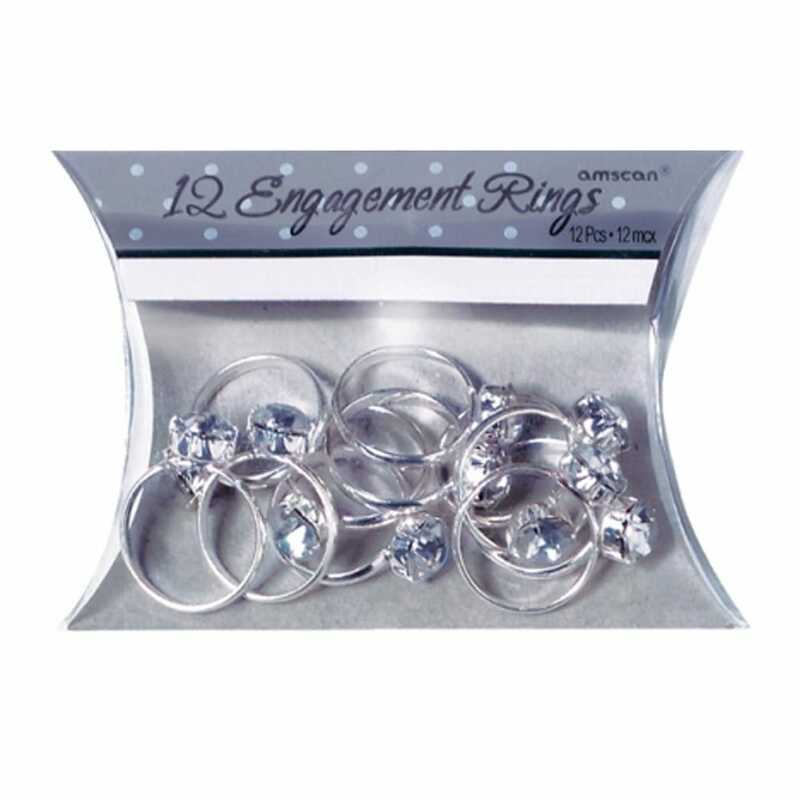 Showing our 2 x12 Engagement Rings Table Confetti /Party Favours reviews with an average rating of Excellent. Would you like to write a review? Prompt delivery, rings came as described 10/10 thanks!